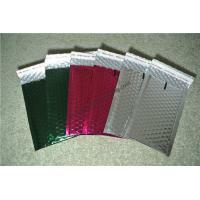 The most widely used aluminized films are polyester aluminized film (VMPET) and CPP aluminizing film (VMCPP). 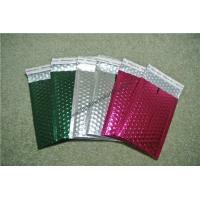 The surface of aluminum film is light and ultraviolet radiation, can prolong the shelf life of contents, but also improves the brightness of the film, from a certain extent, instead of aluminum foil, also is cheap, beautiful and good barrier properties, therefore, in the film composite packaging is widely used, mainly used in drying, biscuits and other snack food packaging, medicine, cosmetics packaging. 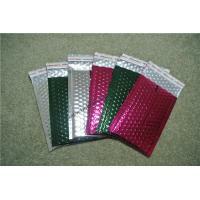 Metallic bubble mailers is made of low density polyethylene (LDPE). The features of low cost, large volume, good waterproof performance. 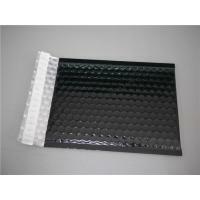 Usually we receive the courier package, the package outside the black or gray bag is the courier bag. 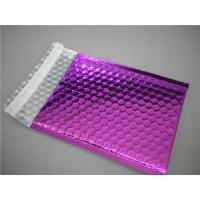 LDPE film flexibility, are not easy to be torn, comparison of bright color printing, many logistics companies in order to achieve the effect of publicity will custom printed graphic courier bags. 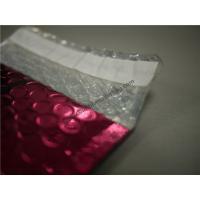 Express bag also has anti theft special self-adhesive tape, the self-adhesive posts with a one-time, non recovery characteristics and prevent the parcel before delivery to the recipient is opened without authorization, using a very simple and convenient. 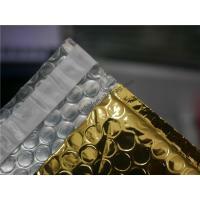 Metallic bubble mailers has self-adhesive tape, using a special glue, as long as mouth closed, then open it will damage opening or a mark was opened, which is prevention in parcel transport process is stolen. 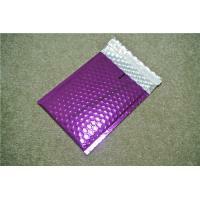 At the same time the bag is closed, the sealing property is good, effectively waterproof, sunscreen. 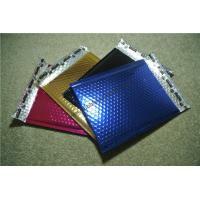 The 1 layer is made of pure low density polyethylene film. 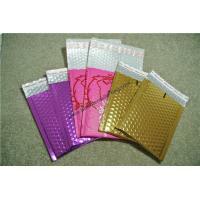 Metallic bubble mailers use high quality low density polyethylene material by blow molding equipment to produce Poly film, then composite with self-adhesive tapes. Finally, making equipment produce finished bag. 1 light weight, large volume. 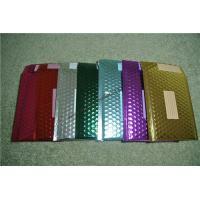 1. has good mechanical properties, impact strength is 3~5 times of other films, good folding resistance. 2. oil resistant, fat resistant, acid tolerant, dilute alkali, resistant to most solvents. 3. with high and low temperature performance, can be used for a long time at 120 degrees Celsius temperature range, short-term use of resistant to high temperature of 150 DEG C, -70 resistant to low temperature, and high and low temperature effects on the mechanical properties is very small. The permeability of 4. gas and water vapor is low, and it has excellent performances of gas resistance, water, oil and odor. 5. high transparency, can block ultraviolet light, good gloss. 6. non-toxic, tasteless, sanitary, safe, and can be used directly for food packaging.